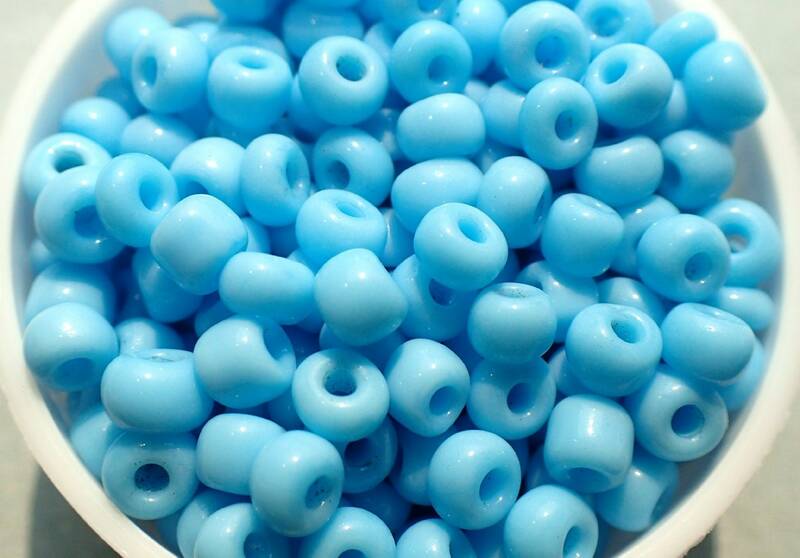 These are light blue glass seed beads. 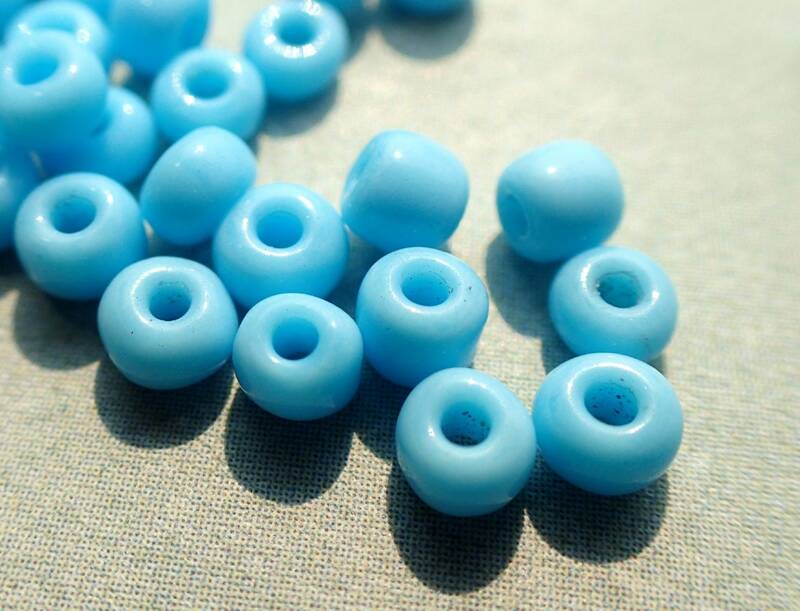 They are 3mm in size. 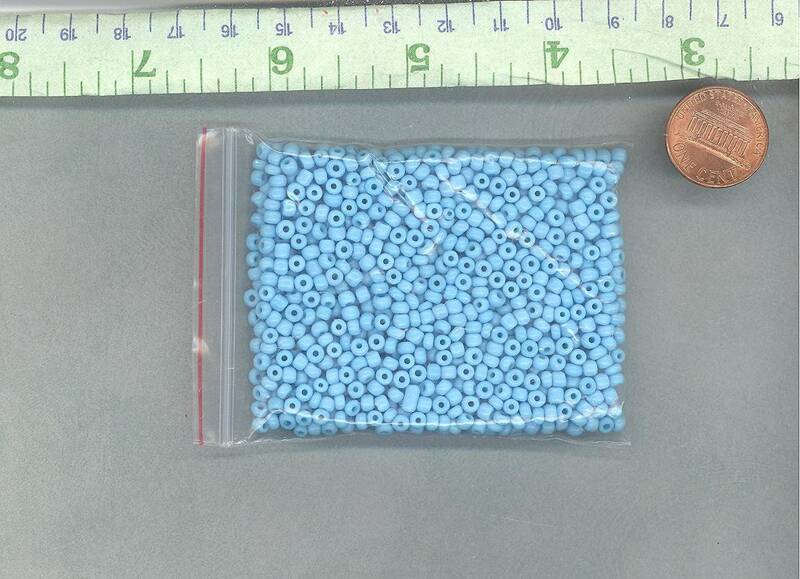 This is for approximately 1000 beads, which is about 26g. 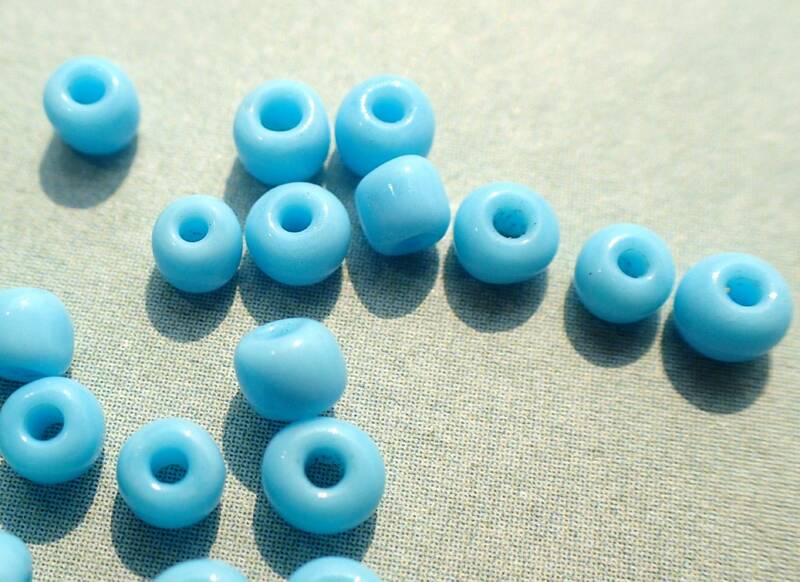 Use these in your jewelry, or use them in your mixed media art, including your mosaics.